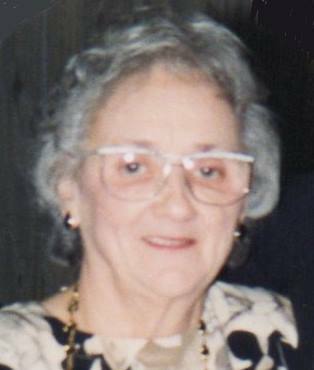 FULTON, NY – Ruth A. Briggs Baldwin, 92, of Oswego, passed away Tuesday December 24, 2013, at St. Luke Health Services in Oswego surrounded by her loving family. Born in Pennellville to the late Frederick and Ruth Dievendorf, she was a life resident of the Oswego-Fulton area. In 1981, Ruth retired from Nestle Co. in Fulton after 12 years. She was previously employed at Sealright Co. and Woolworth’s, both in Fulton. Ruth was a member of the Fulton First United Methodist Church. She was predeceased by her first husband, Louis D. Briggs, who passed away in 1987; her second husband, Harold E. Baldwin, who passed away in 2006; as well as siblings, Velma Pierce, Helen Morrison and Arnold Dievendorf. She is survived by her children, Bonnie (Chuck) Wheeler of North Carolina, Bob (Dorothy) Briggs of California, Andrea (Richard) Tucker of Connecticut and Janet Green of Fulton; seven grandchildren; nine great-grandchildren; one great-great-grandson; niece, Marlene Bracey. Services will be held 1 p.m. Sunday at Foster Funeral Home, Fulton. Spring burial will be at Pennellville Cemetery. Memorial contributions may be made to St. Luke Heath Services, 299 East River Road, Oswego 13126.